DONTNOD’s Life is Strange was a brilliant game for me when it came out. At the time I fell in love with Max and Chloe, the time travelling duo, and their adventure in finding Rachel Amber. But now we have the precursor to it’s sequel: The Amazing Adventures Of Captain Spirit, and I not long finished it, so lets get stuck in. Straight off the bat, the world is gorgeous, returning with the brilliant art style of the first, but felt more fluid than the original. Even with the graphics having to be on low for me to get a decent FPS, the house and surrounding yard still managed to impress me. The soundtrack is brilliant, contributing to the series’ trademark melancholy, acoustic feel. The game still manages to look wonderful, despite the limited setting of the one, single house. It can however be a little fiddly trying to get the game let you interact with what you want when it’s close to another object, and was a little inconsistent with it’s tooltips. At the beginning I missed the tooltip for the alternate interactions, and managed to get it up again. Another time I was trying to make a tooltip go away that was reminding me I could always leave the endless scenic cutscene that showed off the yard by pressing the left mouse button. I know Captain Spirit, Just let me enjoy it first though! It’s also not exactly obvious what you’re supposed to do to complete some puzzles, although you can complete the game without doing them. I ended up looking up a guide on Steam for a couple. The game is fairly short, but it’s free, and it’s a decent length for a free game, took me a couple hours to finish, and there is plenty for you to do. There is no real overarching objective: Just enjoy yourself for the day. 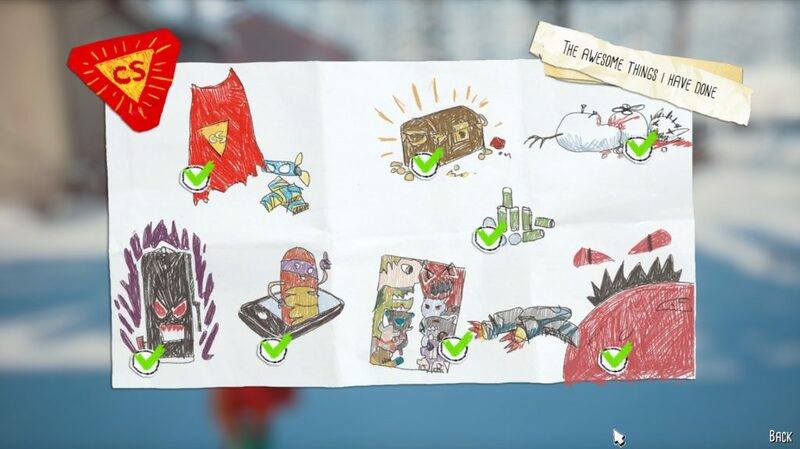 There are a few small puzzles for you to complete, such as assembling your own costume, of which you have some input into what it looks like at the beginning, although minimal, or finding a map to find a way through a maze to an unclaimed treasure. Doing these puzzles sometimes trigger changes to the world into these dreamscapes. Without spoiling anything, Chris has quite a vivid imagination. There are plenty of puzzles for you to go off and complete. In terms of the story, without going into any detail (this really is a game you should play knowing nothing about the overarching story), there is more to doing these activities. There are a handful of conversations here and there between a couple characters, with their own consequences. I had another go of the last 10 minutes of the game to change some choices, and it did change a fair amount. Not a lot, but a fair amount: enough to be important when Life is Strange 2 comes around to continue Chris’ story. 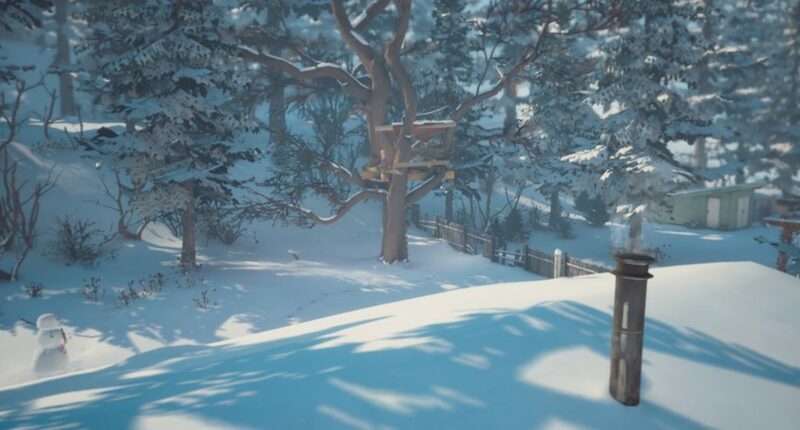 It also contains some references to Life Is Strange in a couple of it’s collectables, however, don’t expect this to be a continuation of the original. From the looks of it, it will indeed be leading the series to be an anthology as previously speculated, set in the same world, although separate to the story of Max and Chloe. Although I wish had been just a little more, But I get it, the developers can only fit so much into a short free-to-play title. The game also places a few letters, photos, comics, drawings and other knick-knacks for you to find. Just be aware that the game follows in Life is Strange’s foot steps, in that it does explore some depressing subject matters, and does not hold many punches. The ones it does, it is clear it’s only charging them for maximum tissue-usage when playing the main game. I say main game, because this more feels like a large, generous, demo for Life is Strange 2. I think it could be enjoyable as a stand-alone story, as a sort of short story. But it certainly leaves more than just a few loose ends for Life is Strange 2 to stroll in, before running with a and yank on, before playing on it’s well tuned, heart stringed violin. 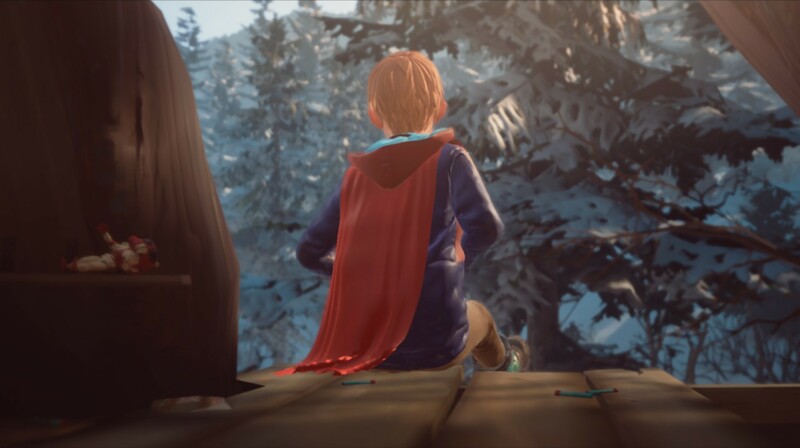 In short: If you’re hankering for a solid, melancholy choice-based narrative game with some very touching scenes that is free to play with no microtransactions, or even just want a taste of what Life is Strange 2 is going to be like, then I whole-heartedly recommend The Amazing Adventures Of Captain Spirit.